Tucked away on the 38th floor of The St. Regis Macao, Cotai Central, this sophisticated Iridium Spa is the highest in Macau. Thanks to the spa’s lofty perch above the ever-evolving Cotai Strip, you have a front-row seat to the dazzling light shows that begin at sunset. The journey begins on arrival, when you are given chrysanthemum tea with fresh longan fruit, a warm towel and a personal consultation to note any nagging aches, surgeries or chronic illnesses. To learn more about your personal goals and customize your treatment, the therapists will ask you to complete a questionnaire on a tablet and identify your body’s signature gemstone. This place has developed its own set of moisturizing massage oils. Iridium Spa offers six colorful gemstone-infused oils, each with a unique scent — such as rosemary grapefruit or sandalwood geranium — said to possess unique healing qualities. Home to 10 treatment suites, including two couple suites and a hair salon, Iridium Spa is a boutique address that focuses on personalized service. Spacious spa suites have hardwood floors and floor-to-ceiling windows. In lieu of a communal relaxation zone, each suite includes a giant Jacuzzi and en suite marble bathrooms. The journey begins with a Welcome Ritual, where you sip the spa’s signature tea while enjoying a warm foot soak. At the end of each treatment, you are invited to savor the view while enjoying a cup of tea and cookies. The Cotai Strip sanctuary is the only Macau spa to offer healing gemstone treatments. 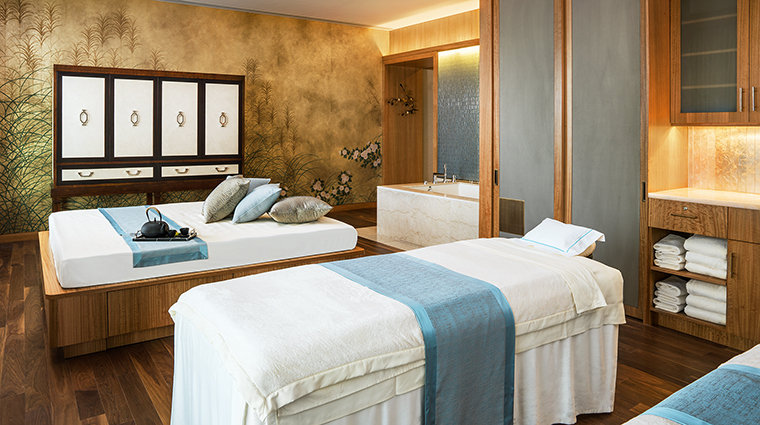 Each treatment room offers sweeping views of the Cotai Strip, which is most dazzling at nightfall when the neighboring hotels’ light shows begin. The spa’s signature gemstone massage oils are available for sale in the reception area along with Gemology skincare products, which use 20 gemstones and their minerals to protect and revitalize the skin. Along with a menu long on indulgent services, Iridium also offers men’s treatments, waxing, eyebrow maintenance, manicures and a full-service hair salon. 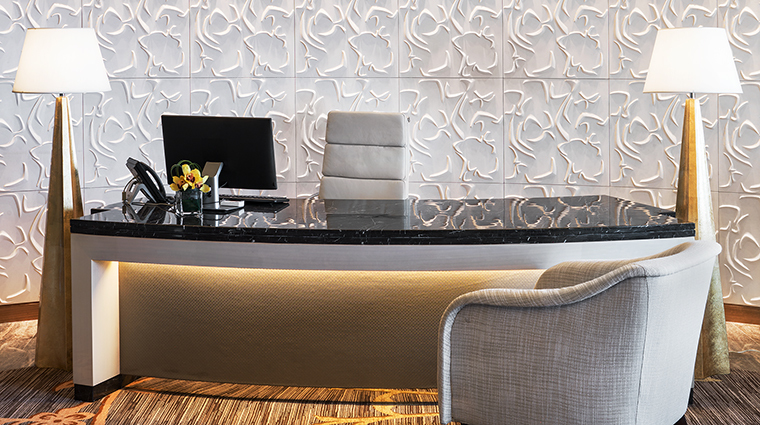 The Timeless Iridium Journey is the ultimate treatment here. The 200-minute package of services offers a bit of everything, including a signature scrub, massage and customized skin care consultation. The signature Iridium Personalized Gemstone massage is one of the most indulgent ways to unwind. The 80- or 110-minute treatment starts with the welcome foot bath and continues with heated gem stones, personalized oil and a full-body massage. It finishes with a rebalancing head massage — complete with a heated lavender neck pillow to ensure any lingering stress has evaporated. Try the Diamond Anti-Aging Care treatment if you’re feeling withered or rundown. The 80-minute treatment uses Gemology products packed full of powdered diamonds for radiant results. The luxury spa also offers a wide range of Asian-style massages, from Thai to acupressure, hot stone, jade treatments, and traditional Chinese “tui na” energizing body therapies that have been practiced in China for more than 2,000 years. 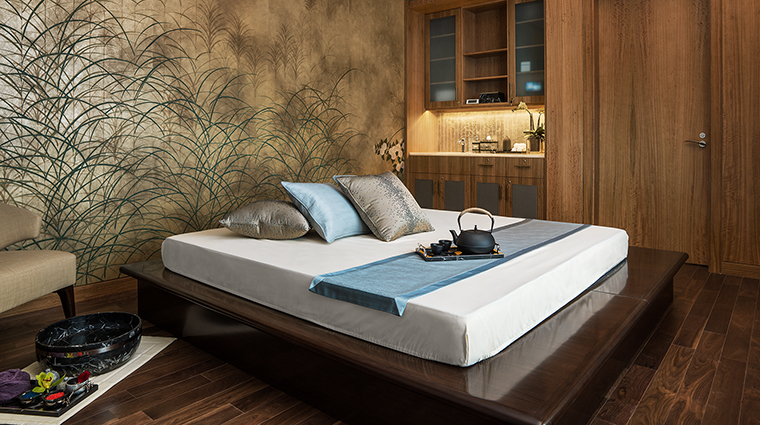 Mixing contemporary comforts and traditional Asian aesthetics, the 10 treatment suites feature hardwood floors, antique Chinese chests and silk-screen-inspired wallpaper. A few of the treatment rooms feature platform massage beds to facilitate traditional Thai massage techniques — which usually includes some intense stretching. Take advantage of the enormous in-room bathtubs with an Iridium Gem Bath, customized for your skincare needs. If you catch a hint of violet and iris in the air — you’re on the nose. 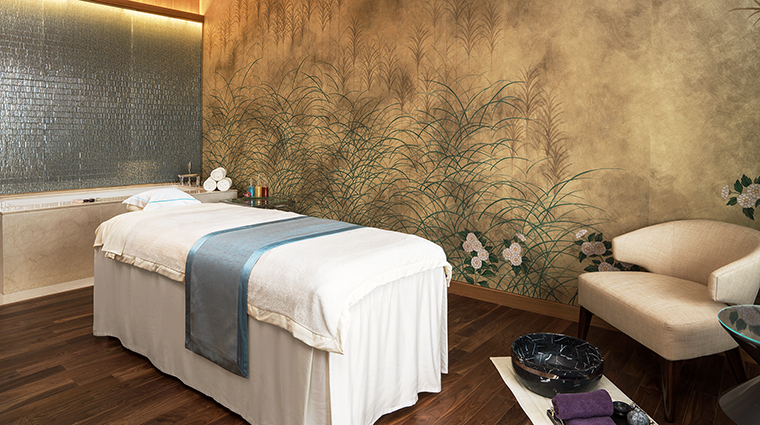 The spa’s relaxing signature aromas are detectable throughout the reception and treatment rooms. 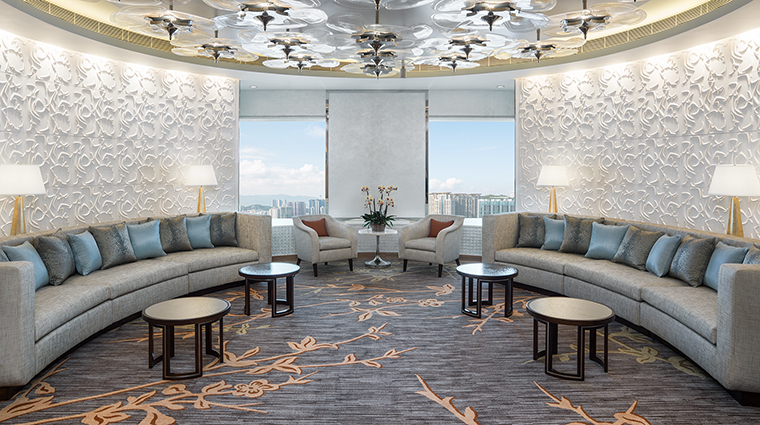 Before and after each service, savor views of the glittering Cotai Strip with a cup of steamy tea in hand.